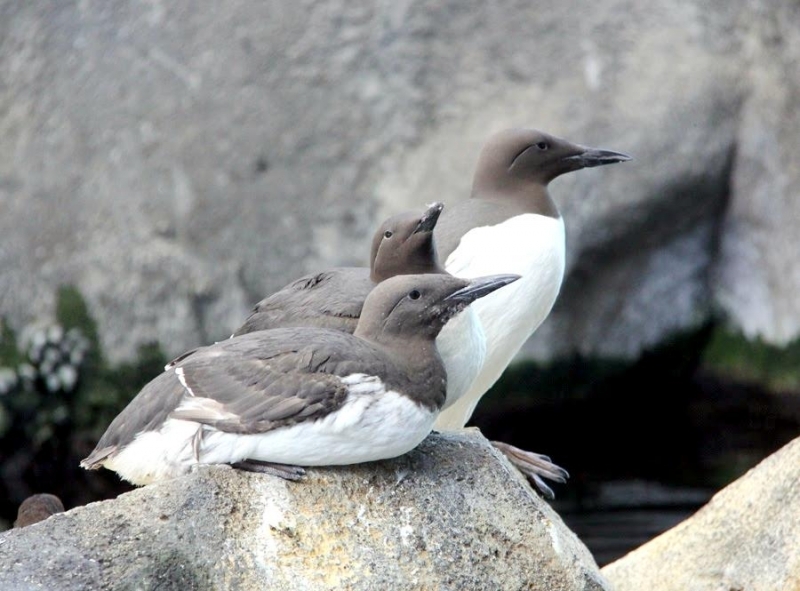 It might be easy to mistake this bird for a penguin with its white belly, dark head and wings and upright posture, but the Common Murre is not related to penguins. 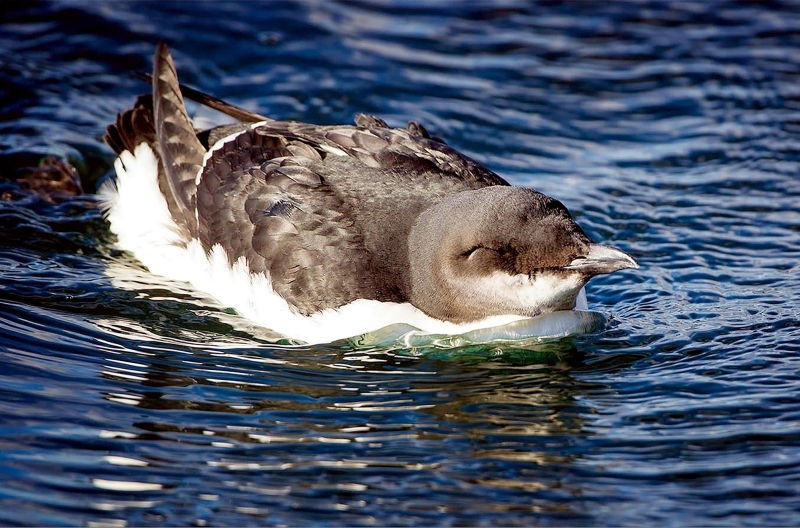 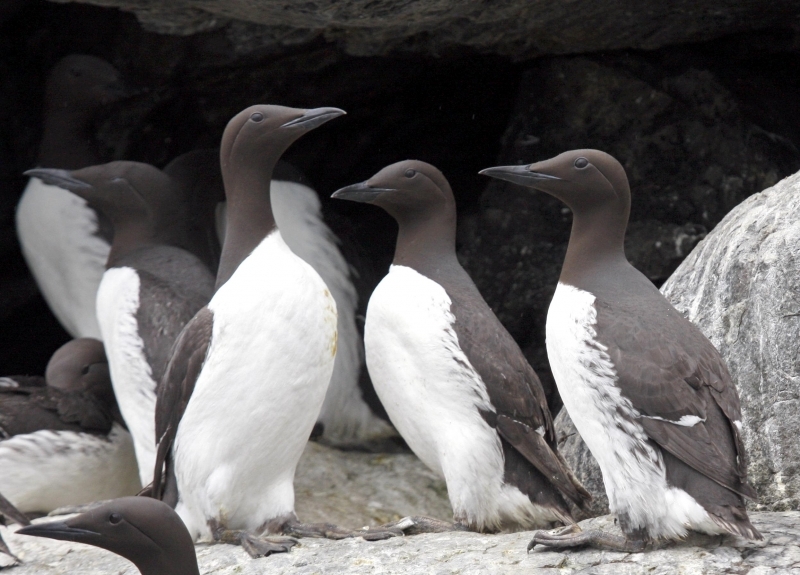 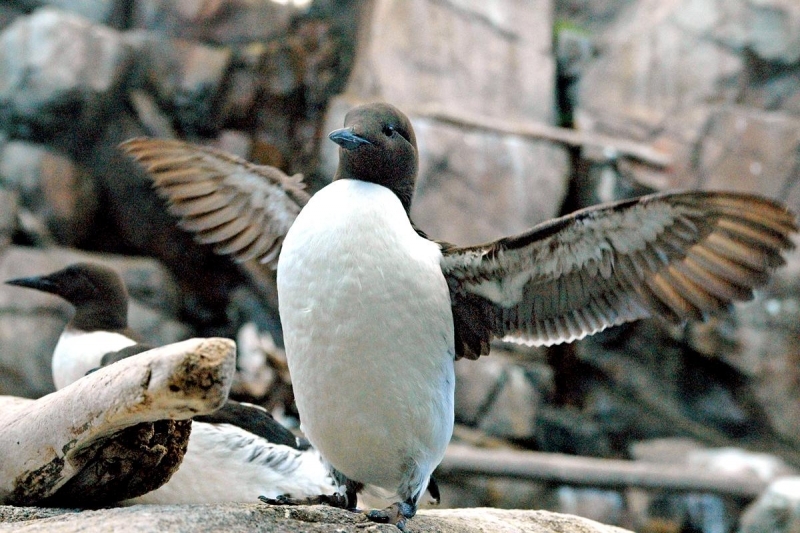 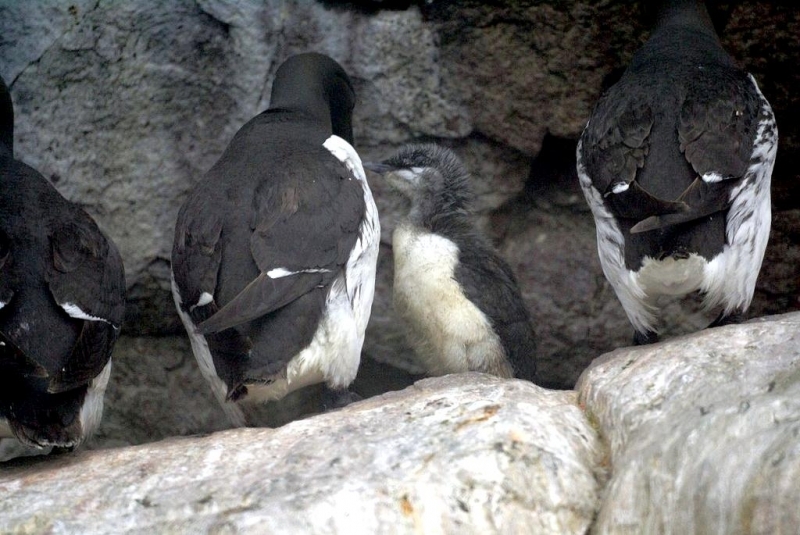 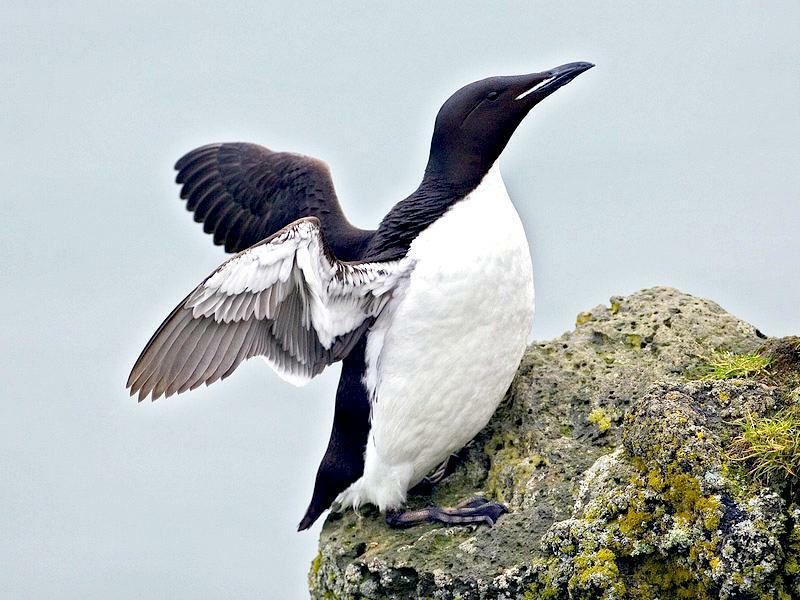 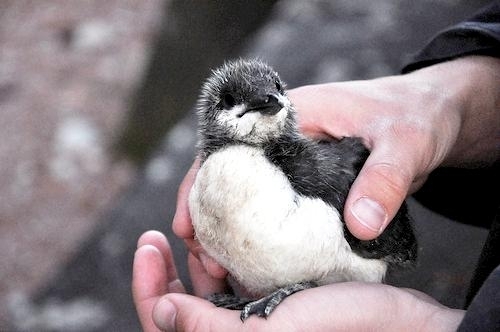 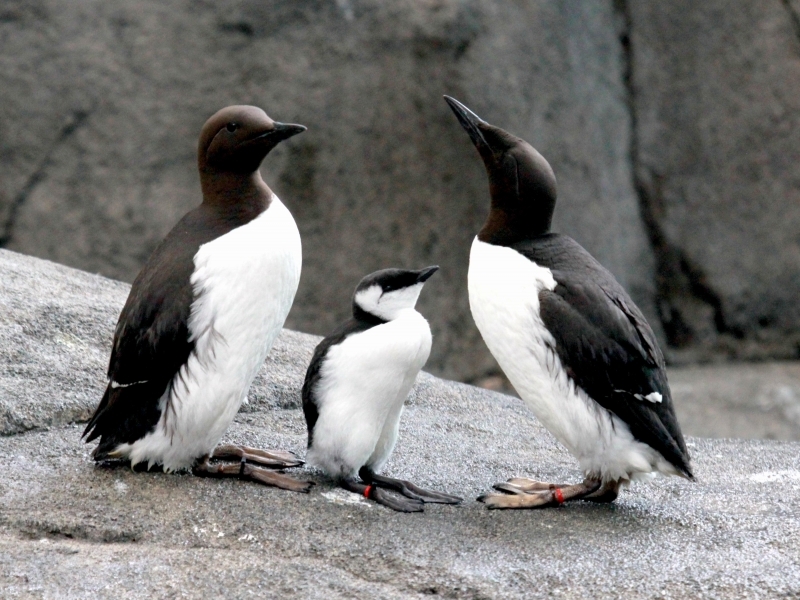 The Common Murre gets its name for the purring sound it makes. 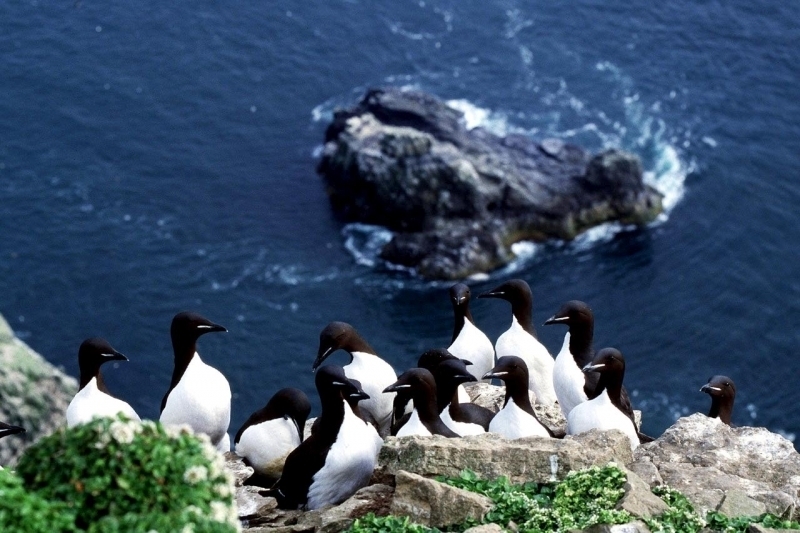 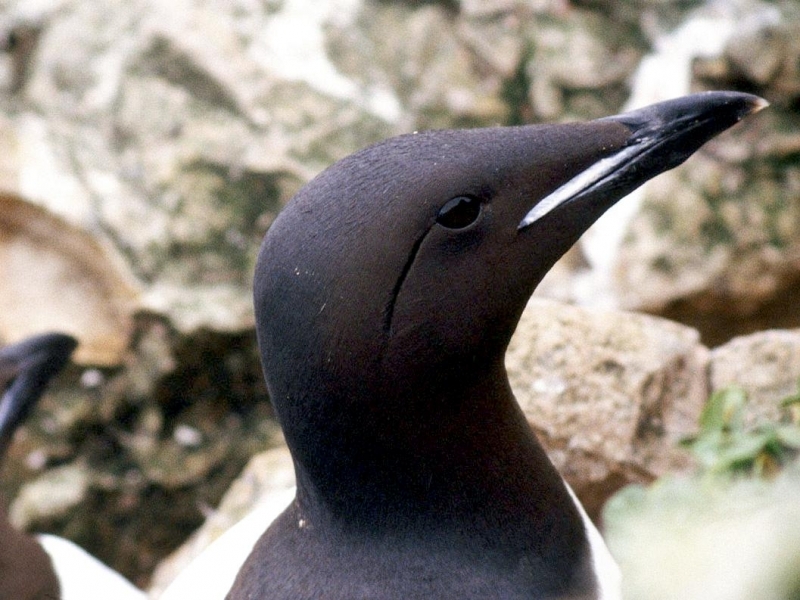 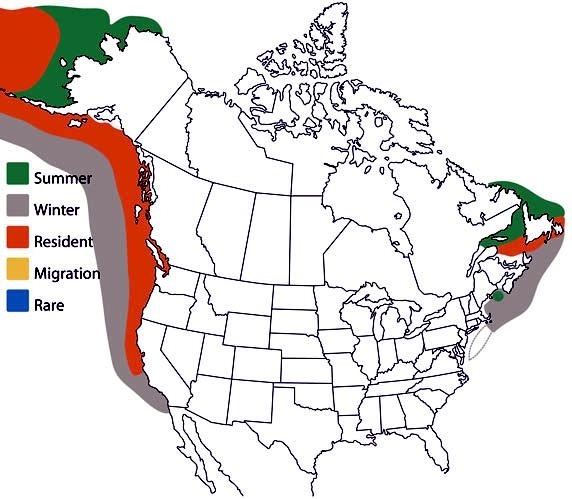 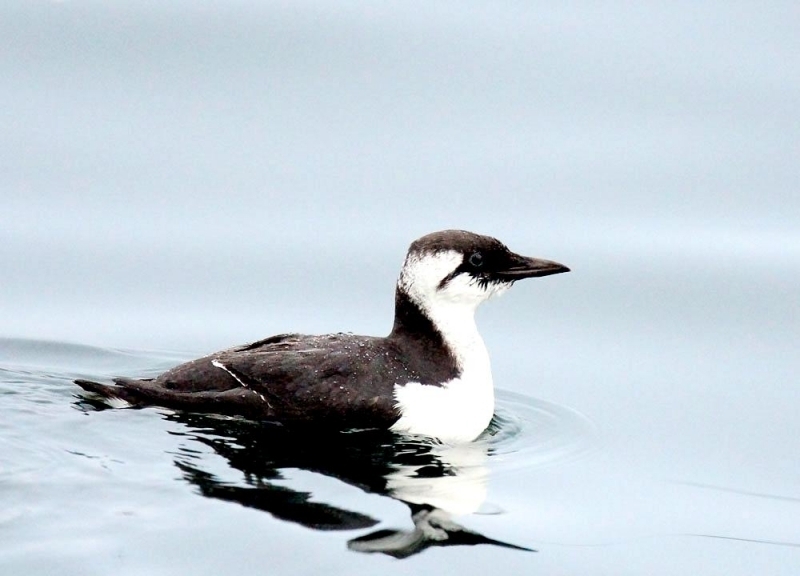 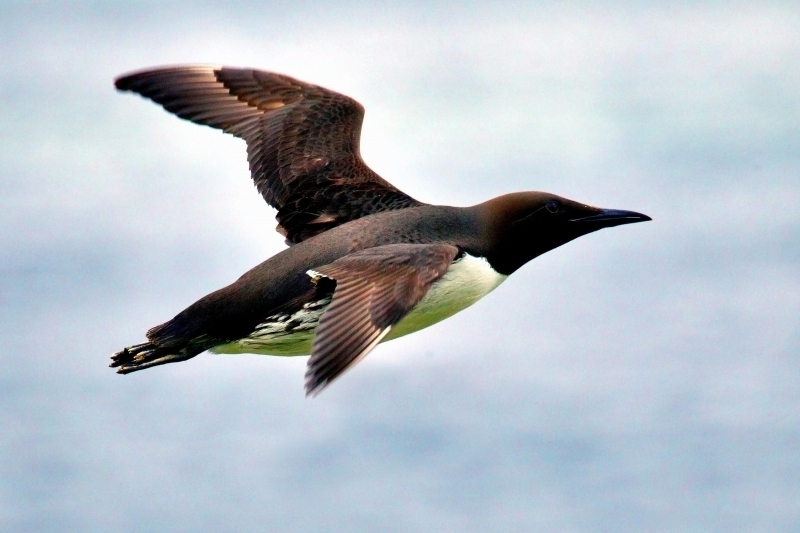 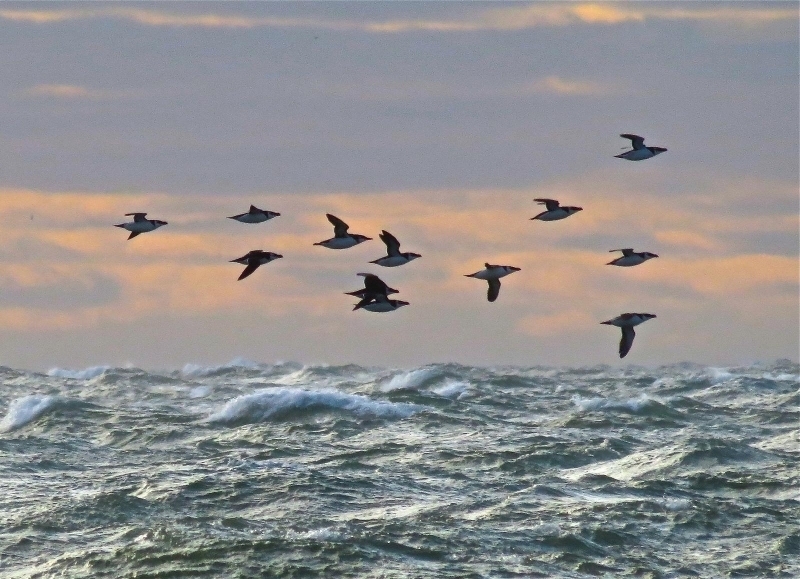 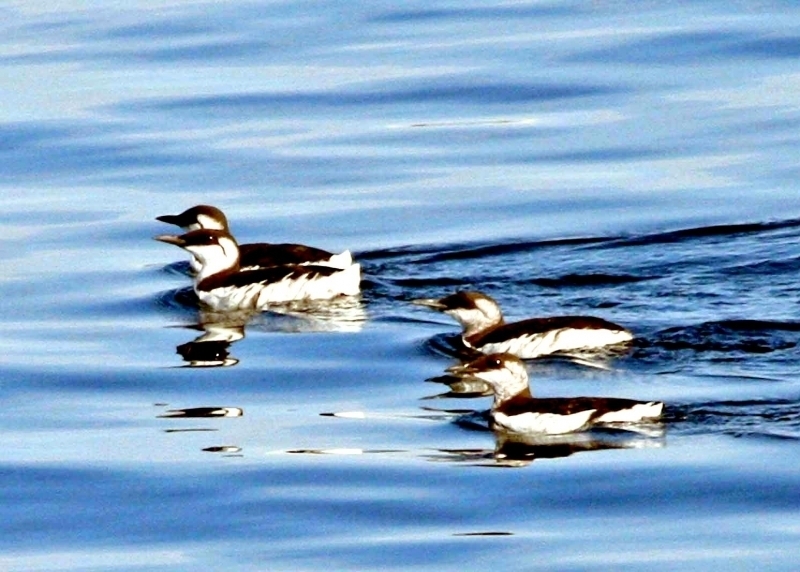 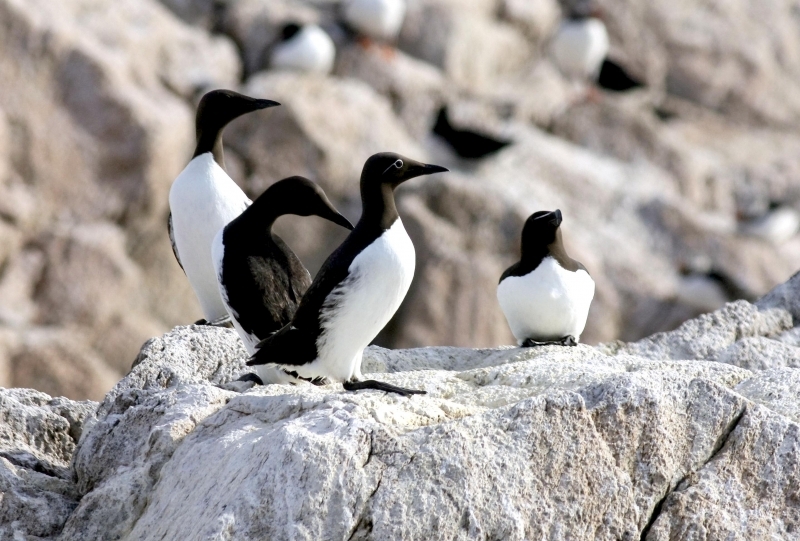 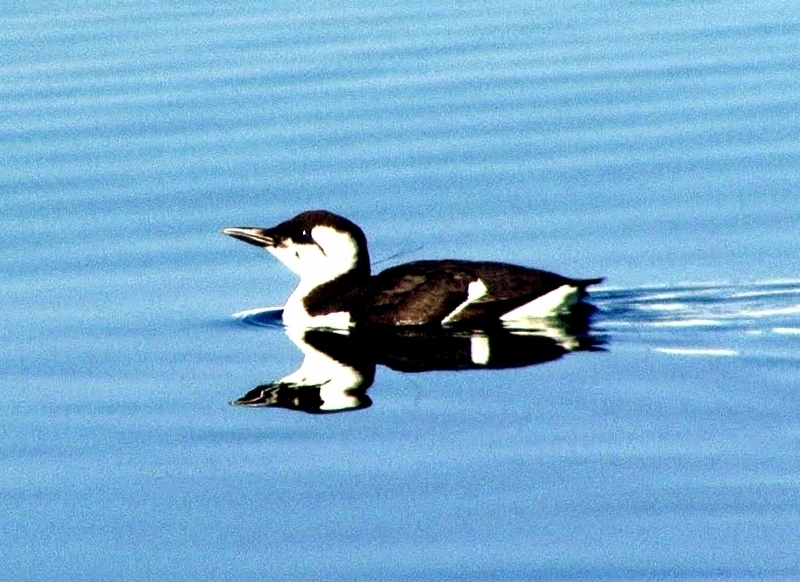 Common Murres are seabirds that spend 8 or 9 months of each year continuously at sea. 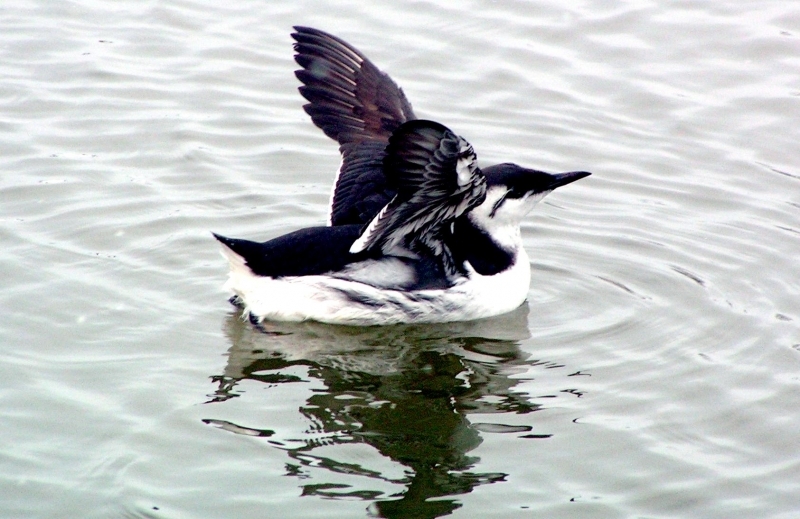 Those short wings are perfect for diving and “flying” under water. 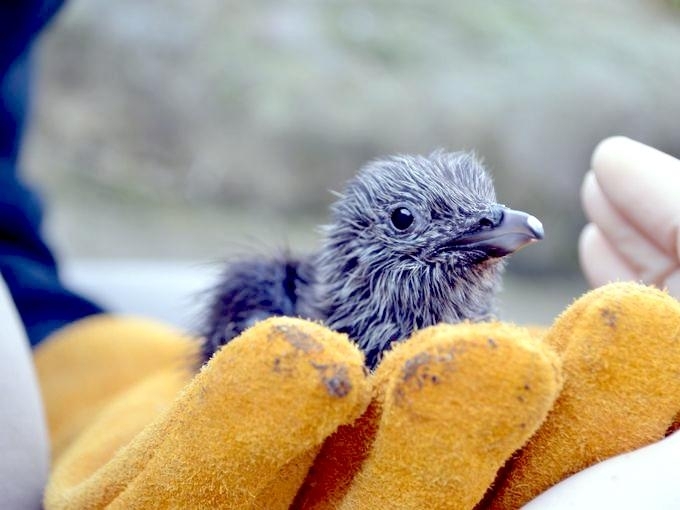 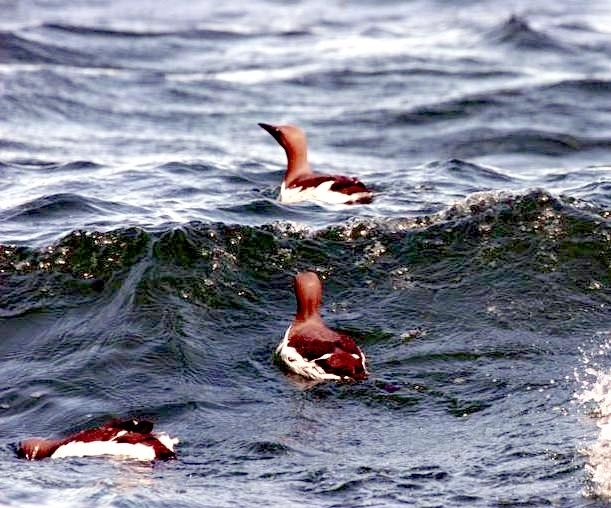 Because these seabirds spend so much time on the surface of the water and because they congregate in large groups for nesting, they’re very threatened by oil spills. 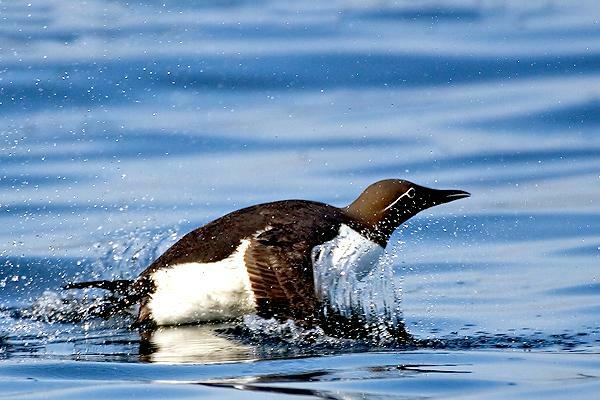 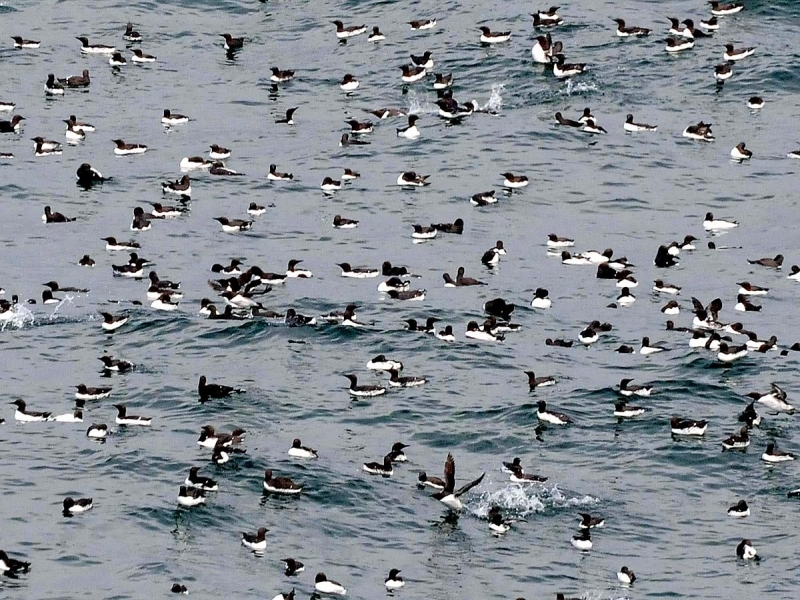 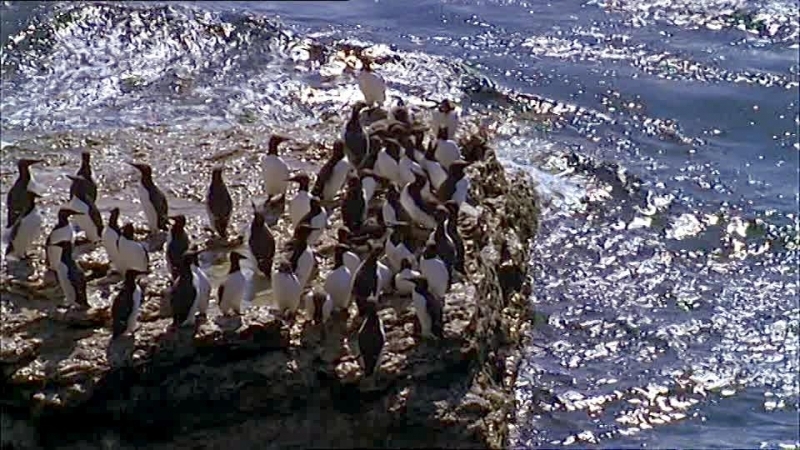 Common Murres dive deep, as deep as 330 feet. 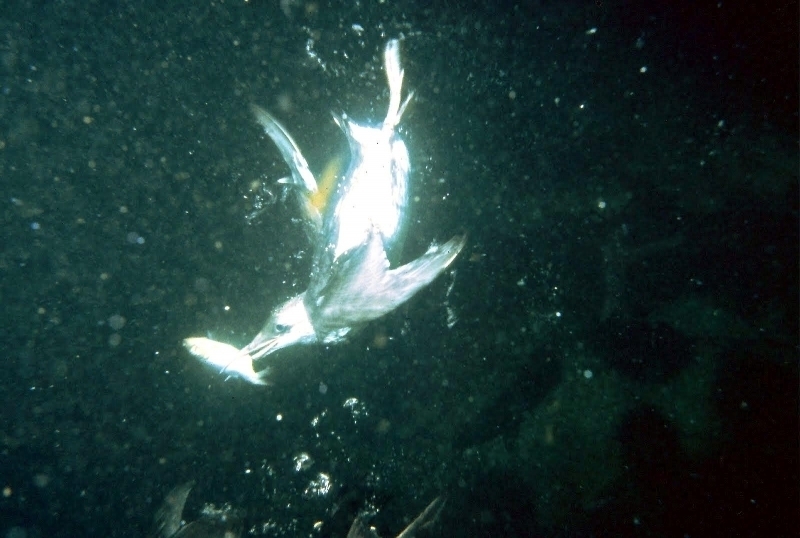 Unfortunately, this puts them in danger of being trapped in gill nets, where they drown. 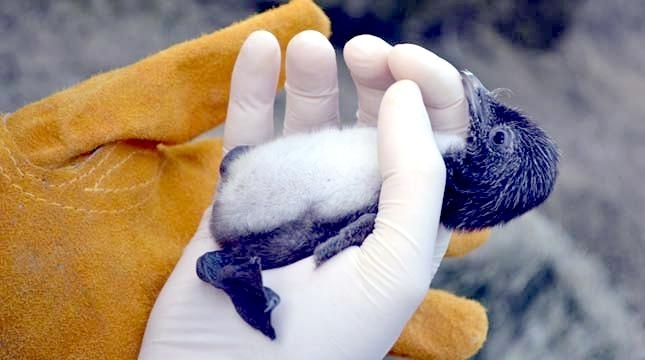 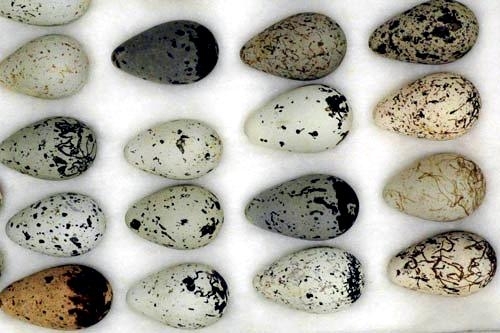 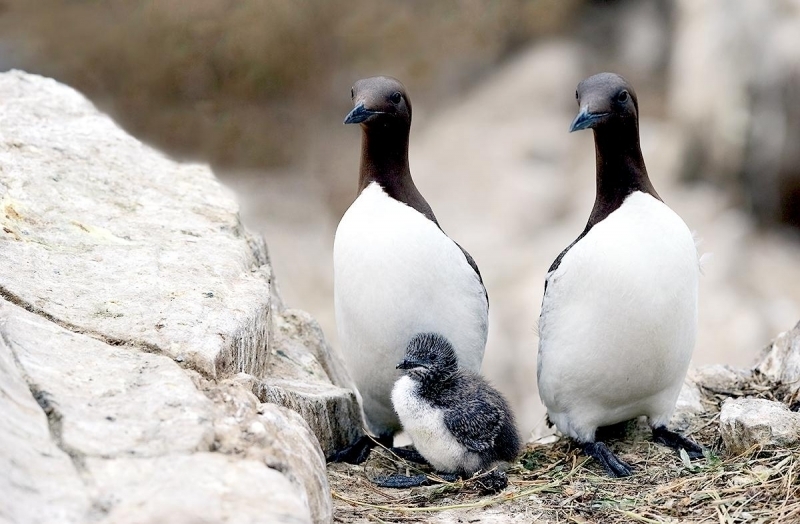 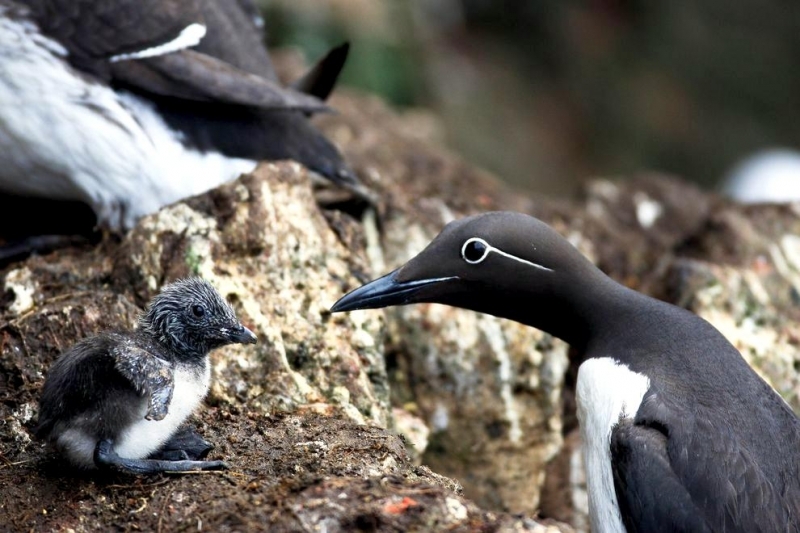 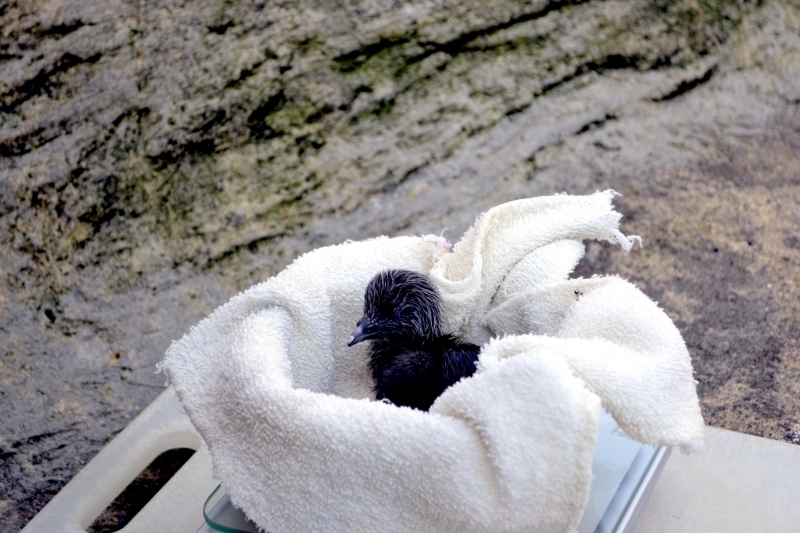 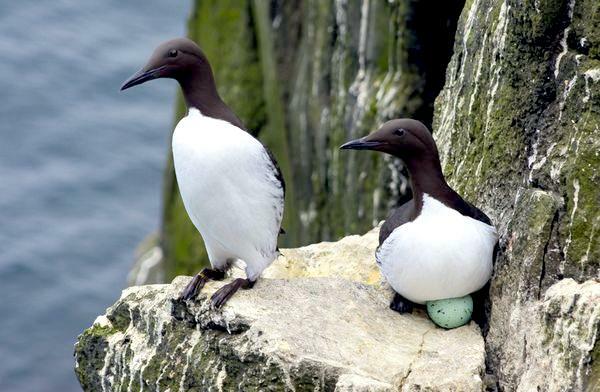 Pesticide compounds found in the eggshells of Common Murres in California pose a threat to future reproductive success. 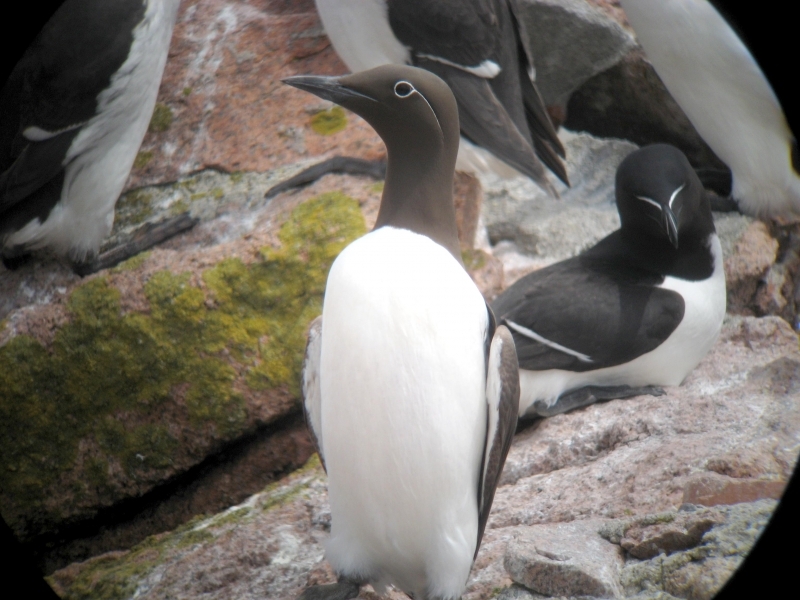 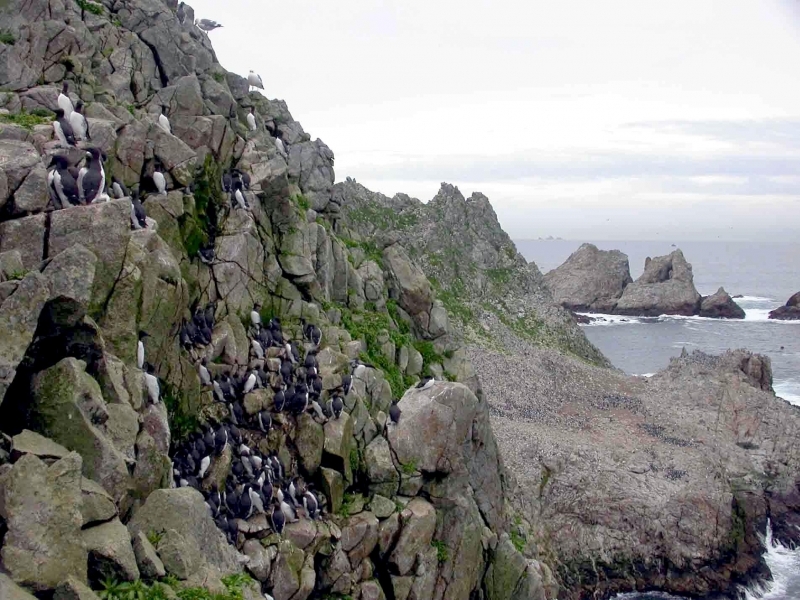 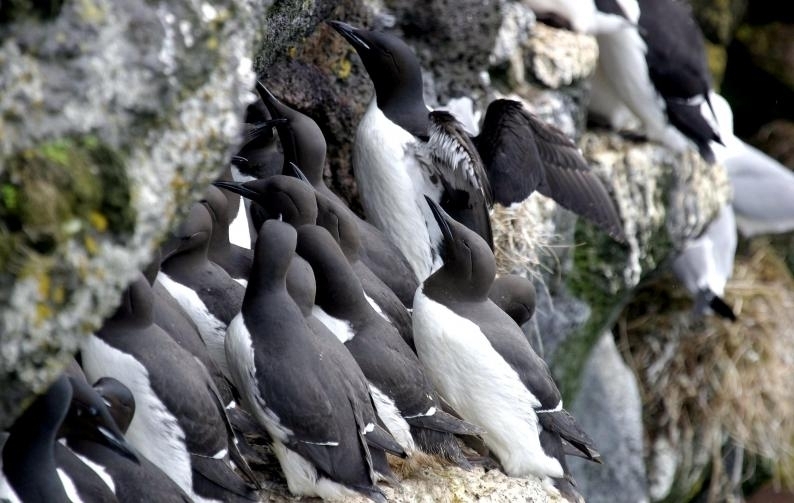 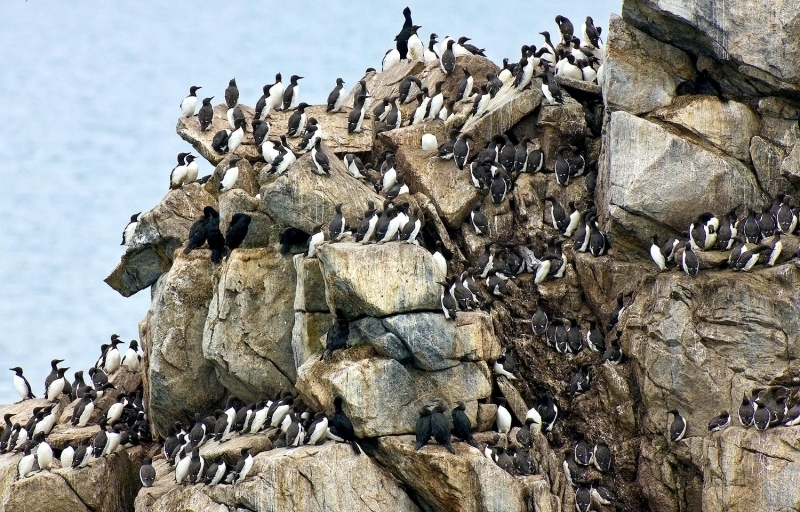 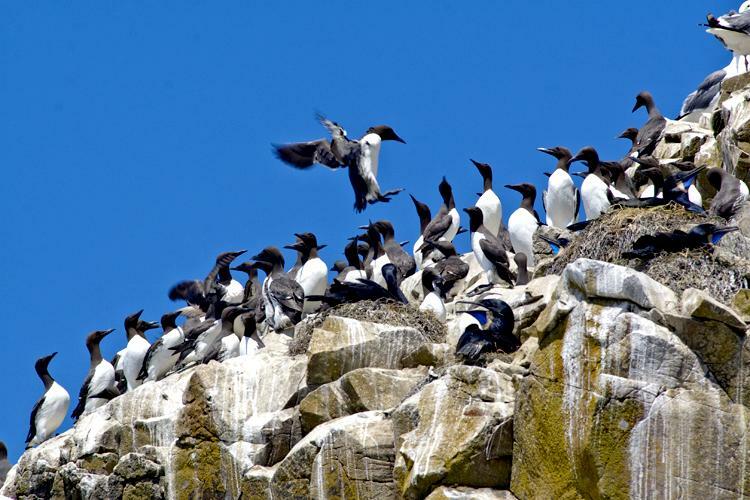 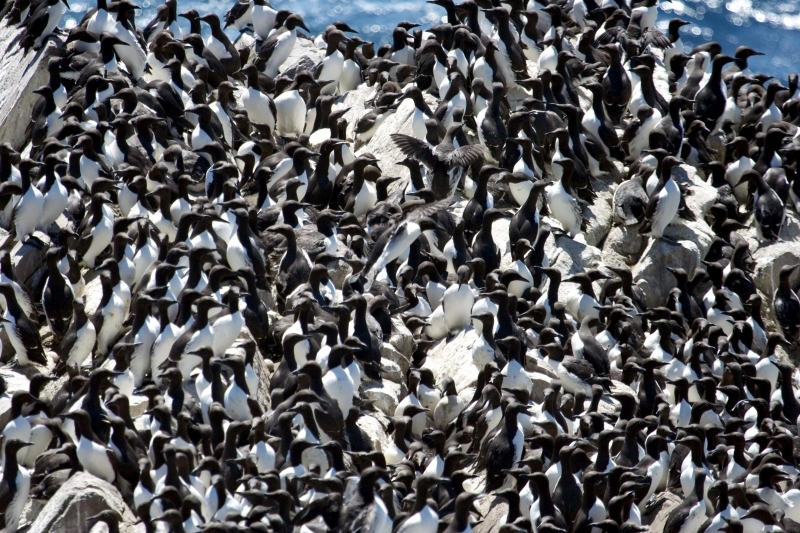 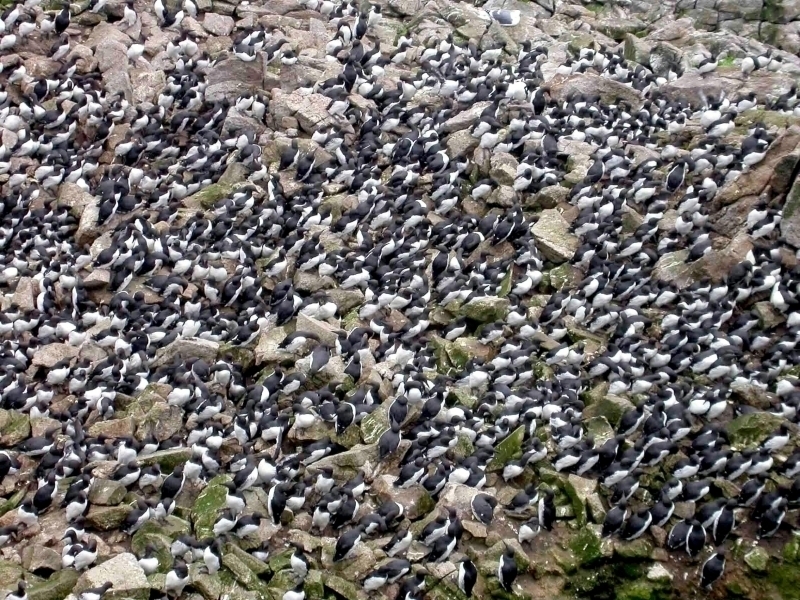 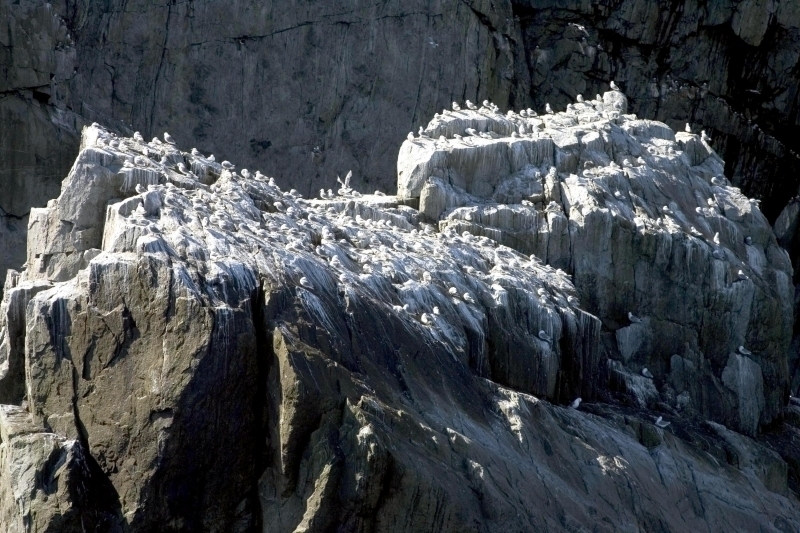 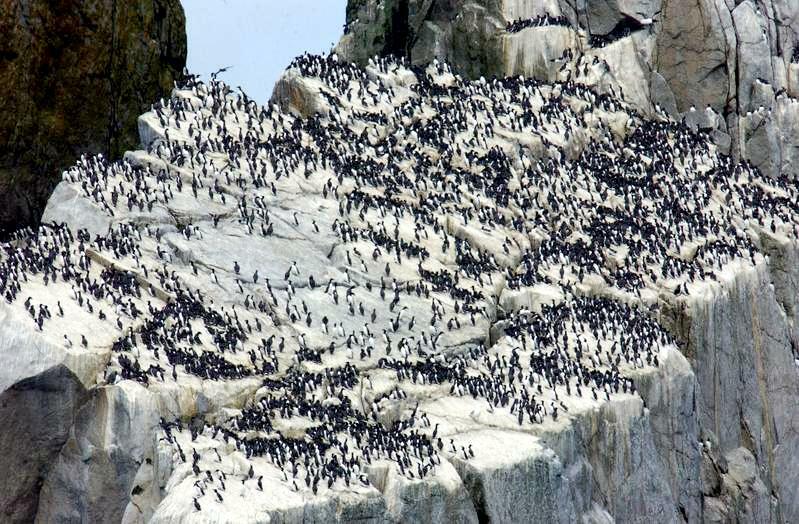 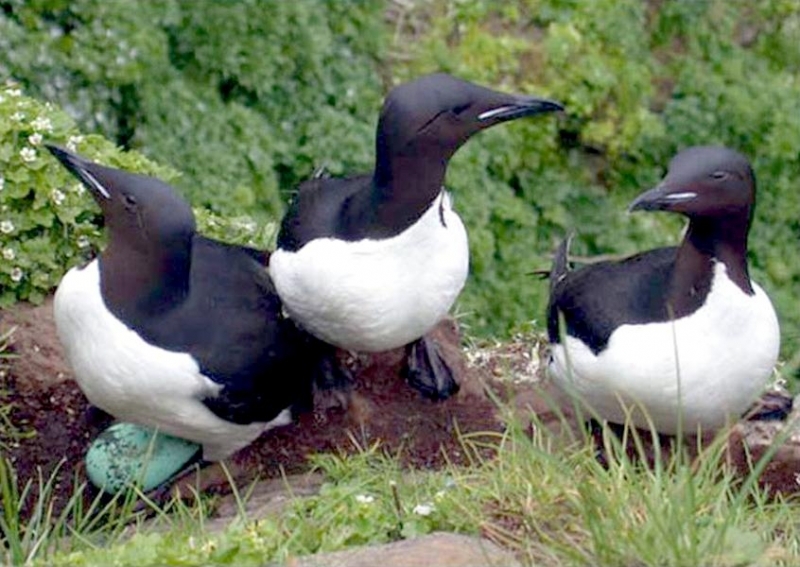 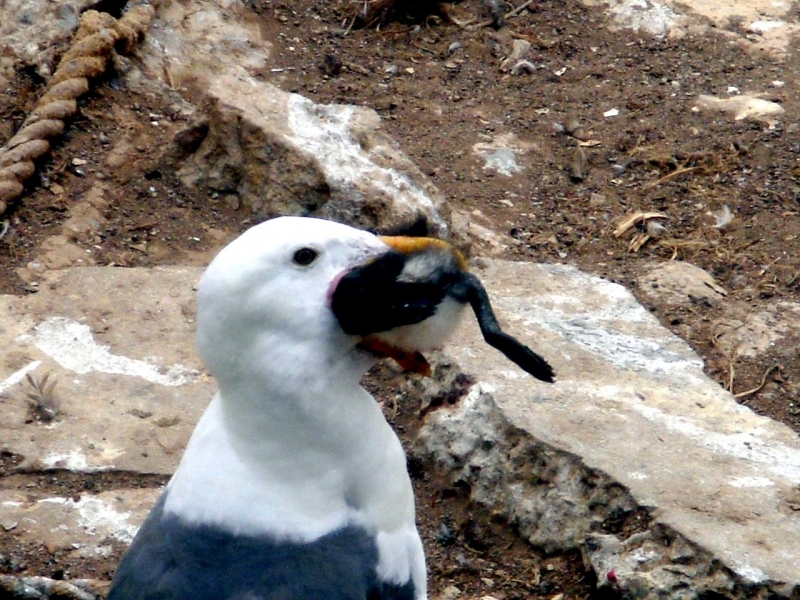 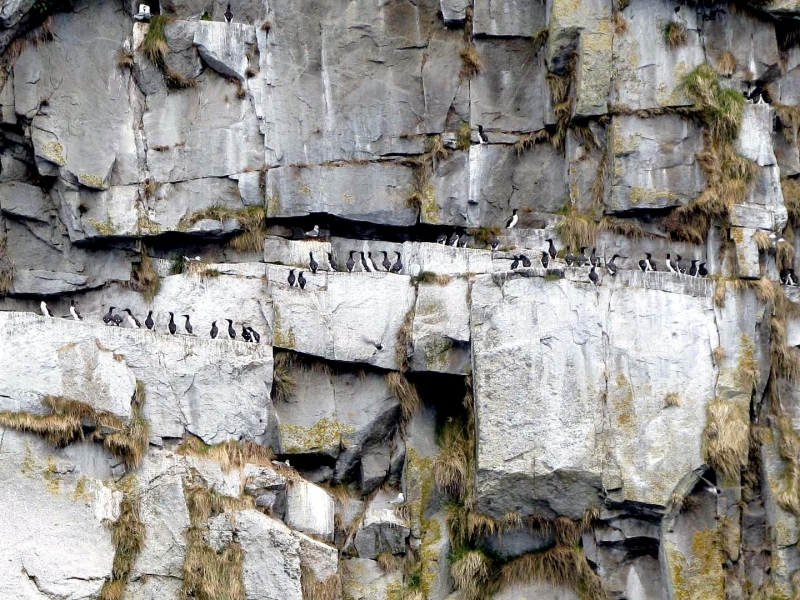 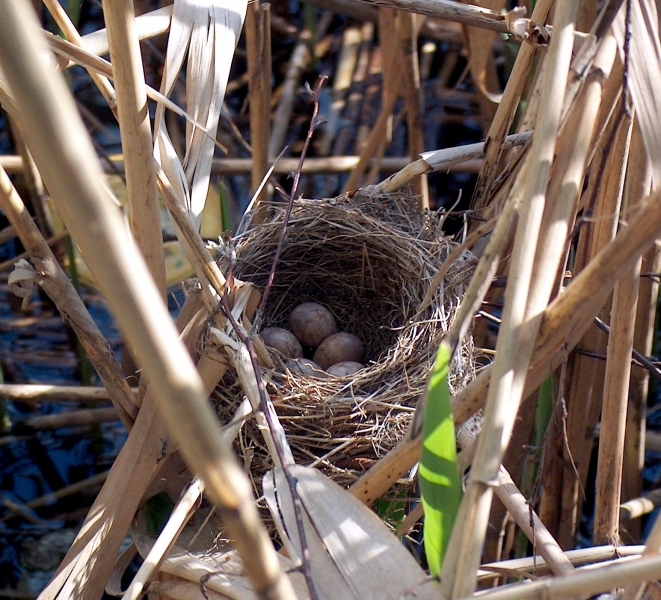 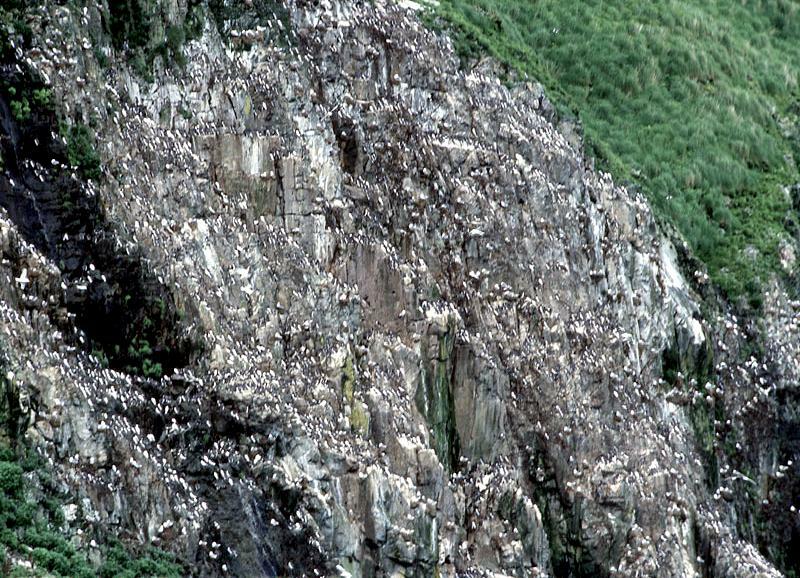 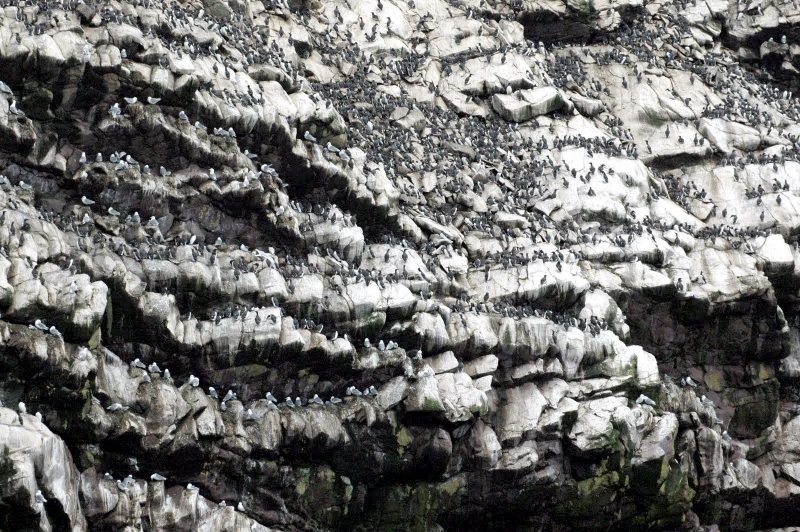 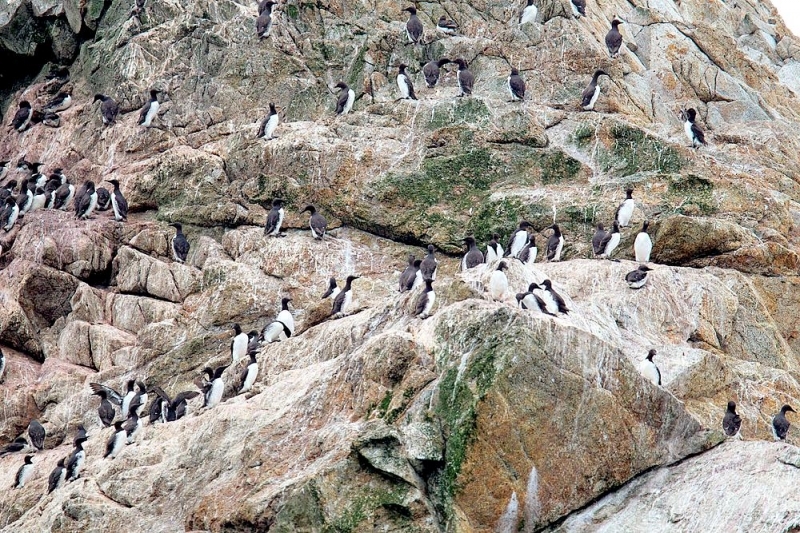 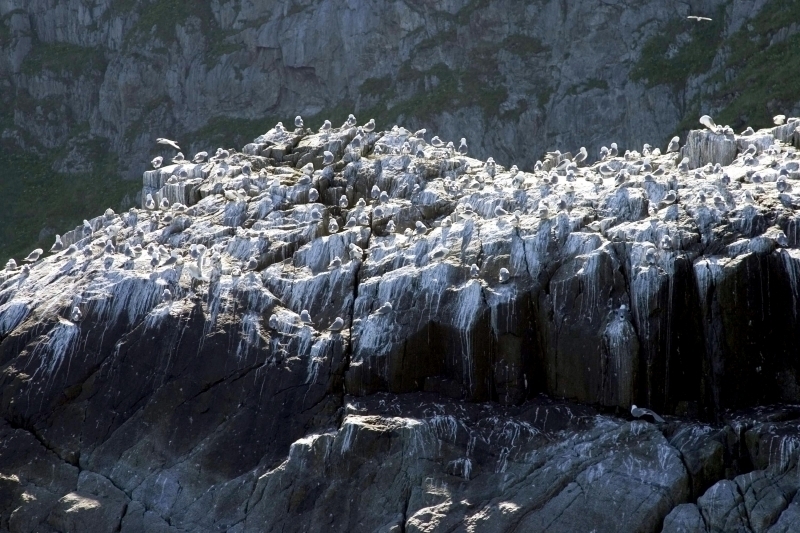 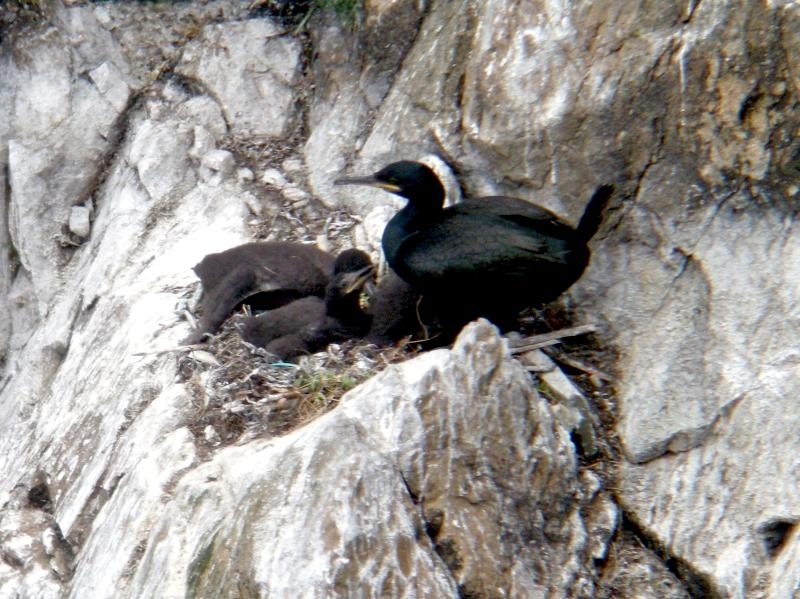 Common Murres don’t build nests like many birds. 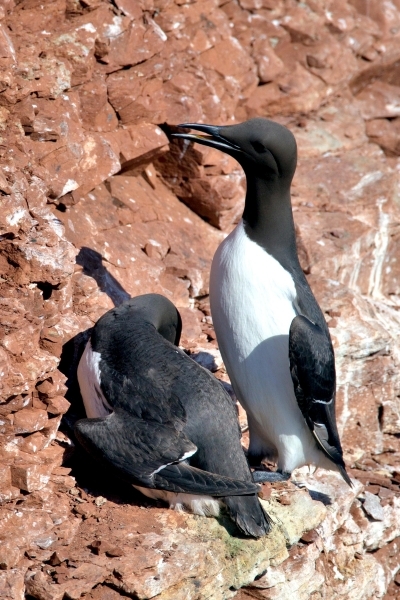 Instead, the females lay their eggs on bare rock or soil on steep cliffs. 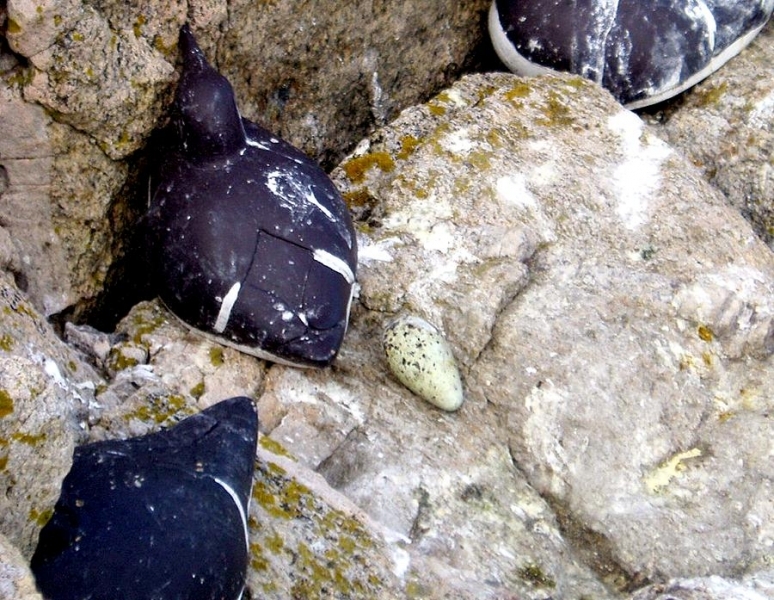 Fortunately, the pear-shaped or pyriform eggs stay quite safe there. 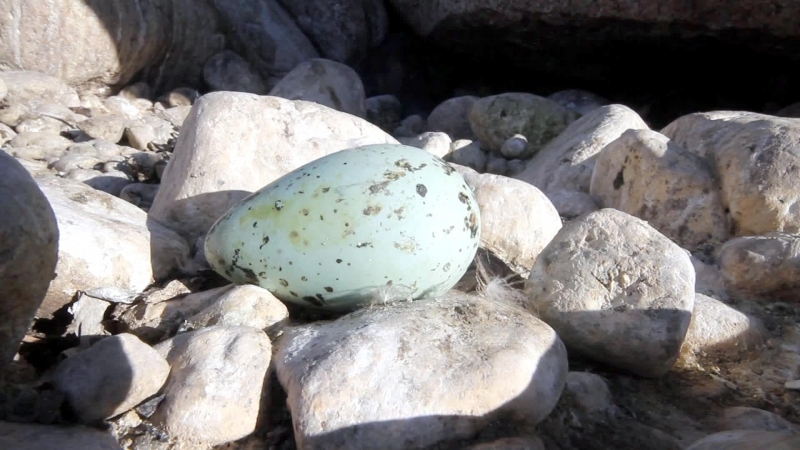 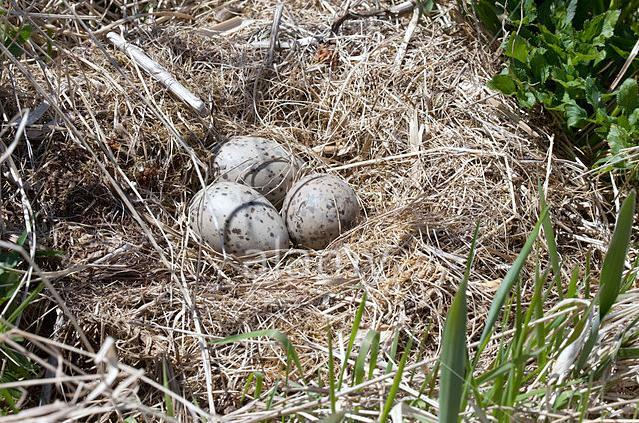 If an egg is disturbed, it pivots around its pointed end, whereas an oval egg might roll off the edge of the cliff. 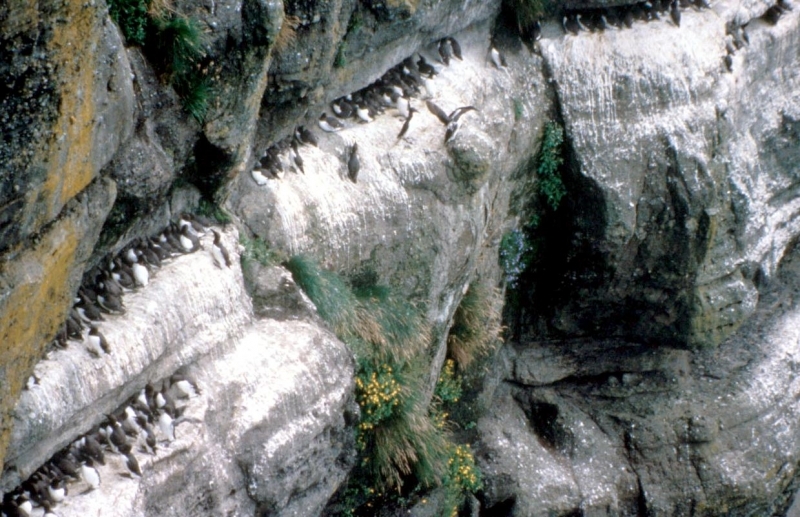 A Common Murre chick leaves the cliff in dramatic style. 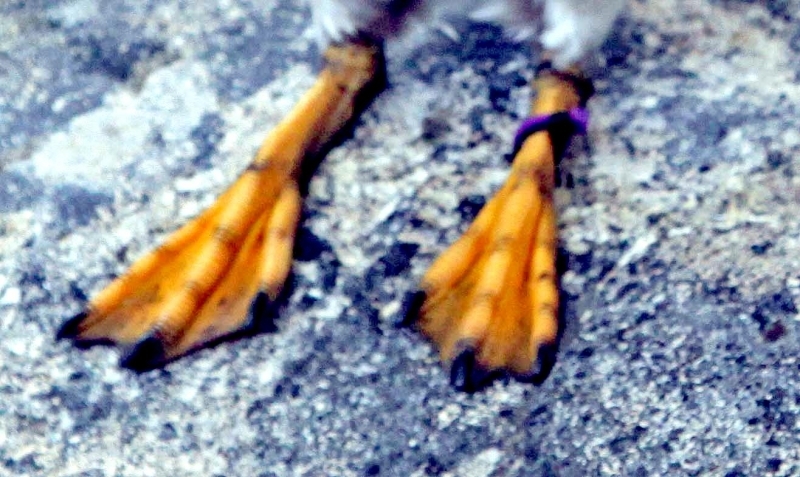 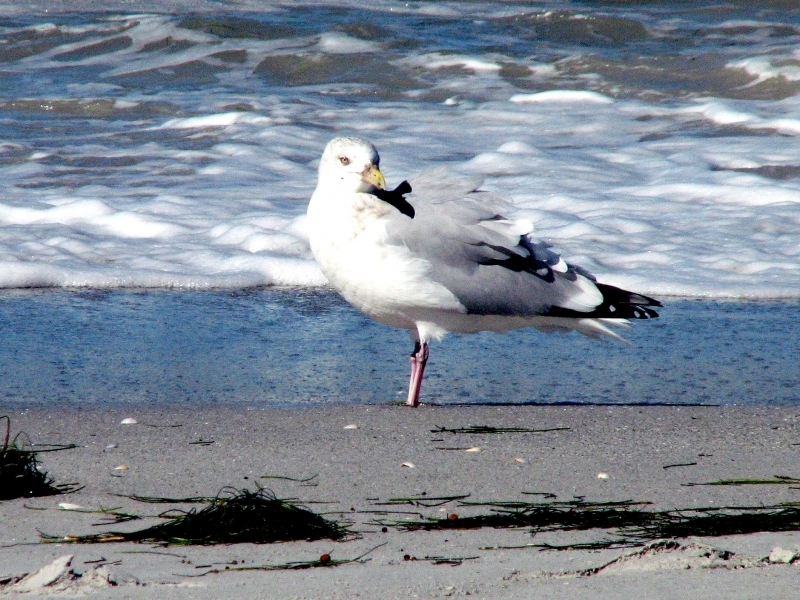 Even without proper flight feathers, it hurls itself off the edge and glides down to sea, a drop of 800 to 1,000 feet. 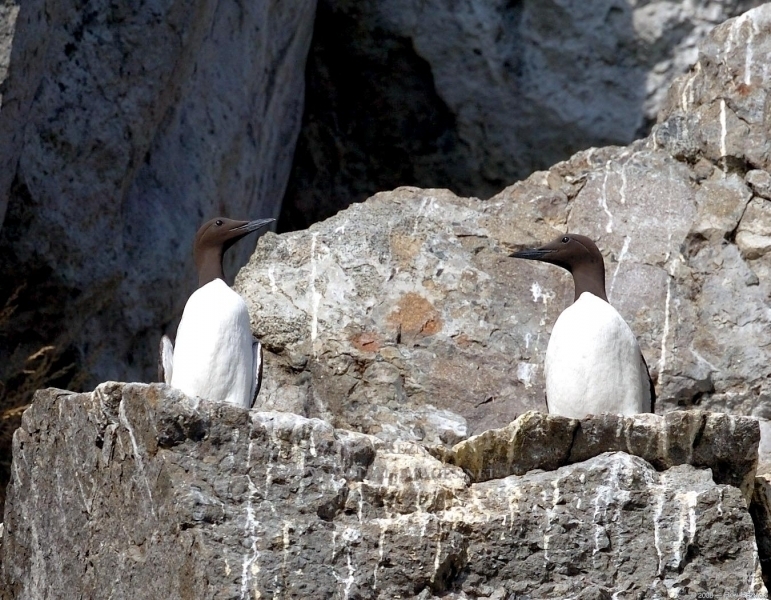 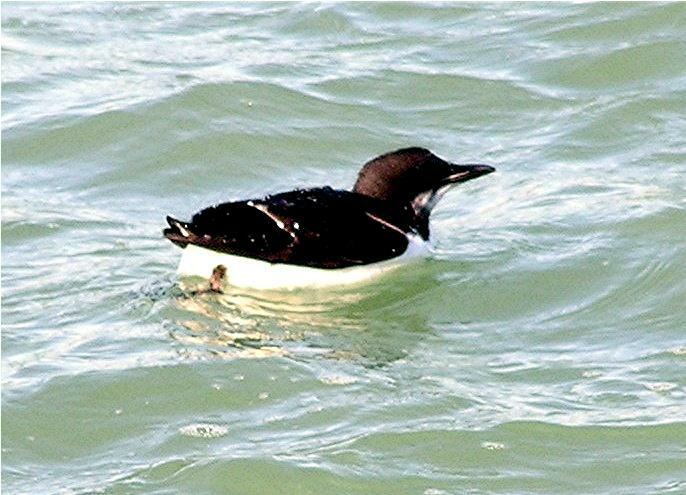 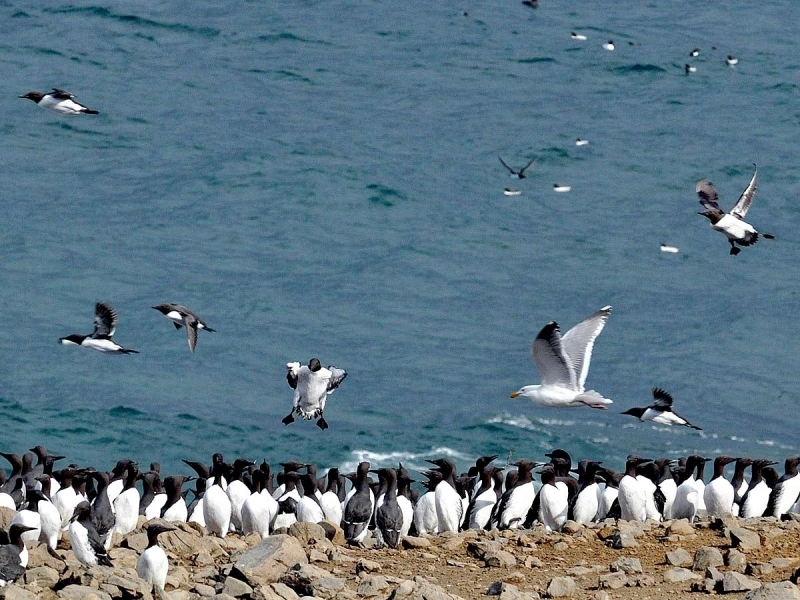 The male Common Murre escorts the chick out to sea, where he feeds and cares for it until the chick can fly on its own.